A spinal cord injury can result in serious damages that can become catastrophic. Because the spinal cord, which runs up and down the center of the body, is responsible for carrying messages from the brain to the body through a network of nerve fibers housed in the spine, an injury to the spine can have devastating consequences. Whether the injury causes bruising to the spine, or completely severs the spinal cord determines the degree of injury and loss of function below the point of injury. 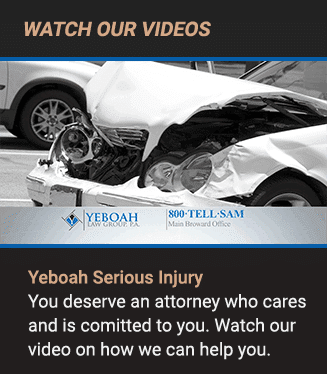 At Yeboah Law Group, we are aggressive in our efforts to protect the rights of our clients who have experienced a spinal cord injury in an accident that was the result of someone else’s negligence. Our Fort Lauderdale spinal cord injury lawyers demand justice on behalf of our clients who are left unable to work or enjoy their lives because of their injuries.  If you are dealing with any kind of injury that was caused by the reckless or negligent actions of another person, we look forward to helping you obtain justice in the form of compensation for your injuries and any other losses in the incident. 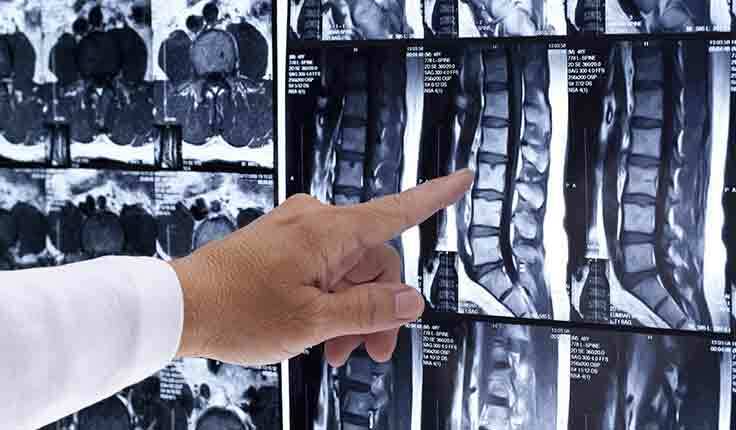 There are two broad categories of types of spinal cord injuries – incomplete and complete spinal cord injuries – which are based on whether the injury partially or completely severed the spinal cord. Individuals who have an incomplete SCI retain some amount of feeling and ability to move below the site of the injury because not all connections in the spinal cord were disrupted. As the name implies, with a complete injury, the nerve connections are broken and do not allow information from the brain to flow below the point of injury. If you have sustained a serious injury to your back it’s likely that you are aware of the injury and that a health care professional identified it immediately. Some of these symptoms that go along with spinal cord injury, with the understanding that every case will present in a different way, include the following: degrees of paralysis from incomplete paraplegia (partial paralysis of the lower trunk and limbs), complete paraplegia (complete paralysis of the lower trunk and limbs) and complete quadriplegia (complete paralysis of all four limbs). The medical complications that follow a spinal cord injury can be catastrophic. According to The Spinal Cord Injury Model Systems Program, (University of Fort Lauderdale houses a center) re-hospitalizations occur in more than 55% of patients in their first year after suffering a SCI, and then the rate falls to about 37% per year in the 20 years following the injury. Those who survive a spinal cord injury have reduced life expectancy within the first five years of the injury. Those who survive the initial years after a SCI tend to have about 90% of normal life expectancy. The lawyers at the Yeboah Law Group take spinal cord injury cases on a contingency basis. This means that you will not pay attorney fees unless we recover compensation for you. We never charge for an initial consultation where you can sit down with a personal injury attorney and tell them what happened to you. The attorney will offer you legal advice about how you might proceed with your case. A spinal cord injury can have a devastating impact on your life. If it was the result of someone else’s negligence, we are prepared to fight for your right to fair compensation. When you are hurt due to no fault of your own and you can’t work and you don’t know where to turn, the Yeboah Law Group has the answers to your legal questions. We offer a free consultation so you can discuss your case and receive guidance for how you might proceed. You are welcome to call us at 1-800-TELL-SAM or complete our contact form to schedule a case review. We serve clients in Fort Lauderdale and throughout South Florida.